Oh, Olympus. Why are you so mean to me all the time? 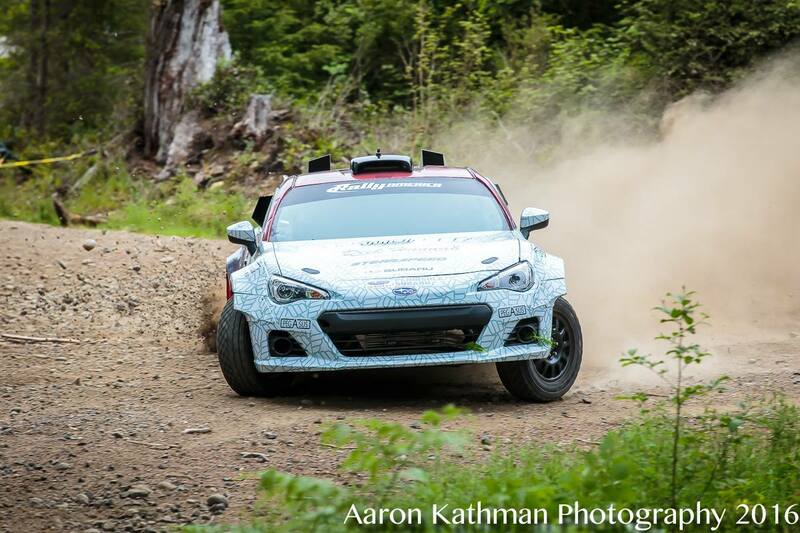 Continuing the Cascadia Championship campaign with Steven Redd in the monster Nameless BRZ, I traveled to lovely Shelton, WA to do battle in the forests. We continued our campaign of trying to finish while testing the limits of the car, and we were successful in achieving those goals, but not without some difficulty. Day 1, we started the day working out some small kinks and making some safe mistakes. In the afternoon loop, we made grand improvements after some suspension changes and waking up. The technical nature of some of the Olympus roads were hard for the powerful BRZ to navigate and required some re-thinking of techniques. We made it through and finished decently. Day 2 was definitely more dramatic. Somewhere on the stage before service, we lost an axle. We're still not sure where, but we lost power and had to limp to the end of the stage. We drove back to service and found the axle hanging by the brake lines. Probably 5 or 6 miles of gravel and tarmac roads and it just hung there. That was lucky, because the team didn't have a spare of the expensive, custom axles. The service crew rebuilt this axle as quickly as possible using gorilla tape, rubber gloves, and zip-ties, then got it back together so we could continue. We went on to finish the day with some penalties for leaving service late and still set some decent times as we gathered more testing data for the team. Another batch of points for the championship and another Olympus survived.